ok, so back to the recipe. 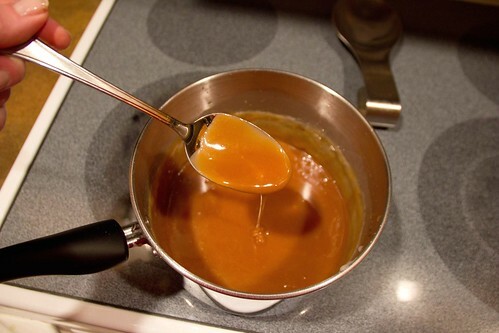 i did run out of caramel sauce for my coffee. i’m one of those people that fills my coffee with a bunch of sweet and creamy stuff, to ensure that it doesn’t taste much like coffee at all. no amount of snow is going to keep me from a proper caffeine fix sugar buzz. *please note, we are not the kind of people that keep our christmas tree up year round… i just happened to make this recipe at christmas time, too. 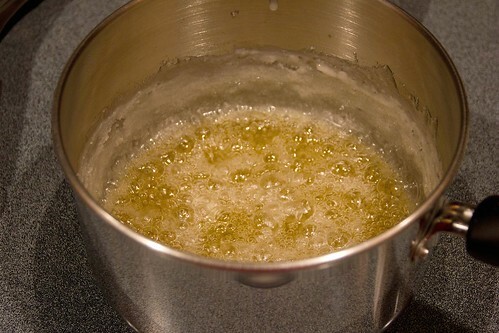 combine sugar, water and corn syrup in a small saucepan. 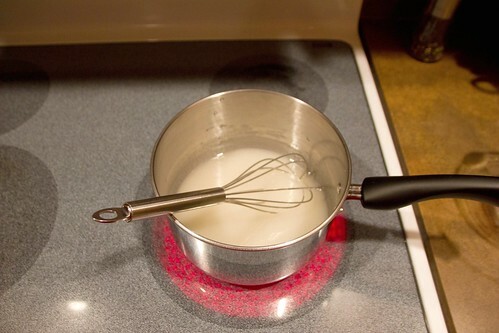 without stirring, bring to a boil over high heat, swirling the ingredients occasionally. 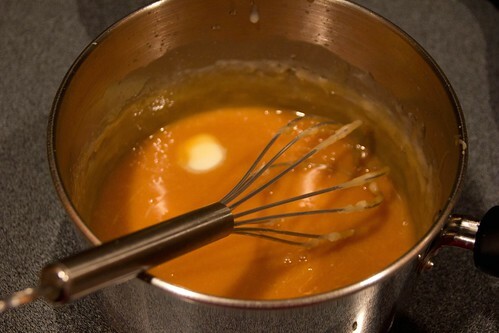 continue boiling until the mixture reaches an amber color. too light, it won’t taste like caramel, too dark and it will taste burnt. there’s a fine line and it may take some practice to find the right flavor. 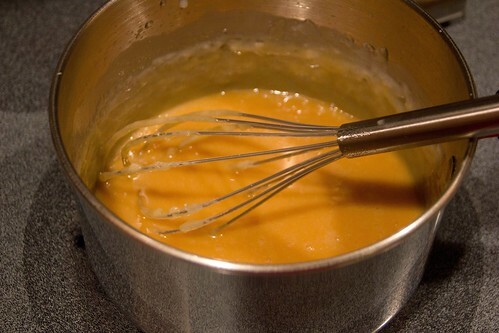 remove from heat and VERY CAREFULLY add cream to the sugar mixture. 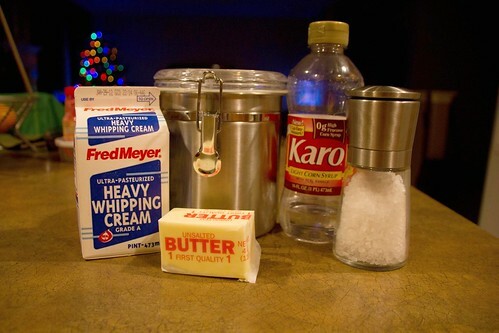 wear an oven mitt on your pouring hand and use a long handled spoon or whisk to combine the cream. it sputters and steams and you really don’t want to get burned by this stuff. it caught me off guard the first time, hence the numerous warnings. don’t be like me. 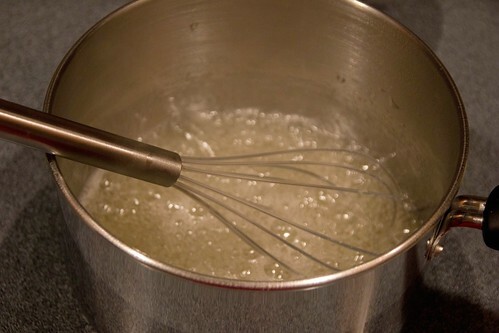 once combined, add the salt and butter and continue to stir until combined. cool to room temp. 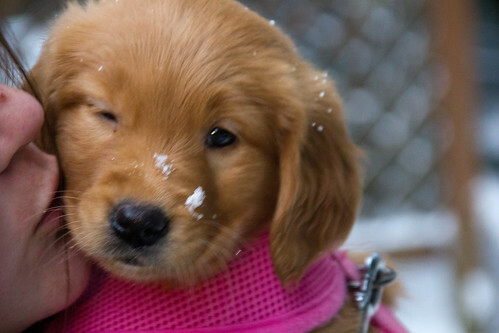 do sneak a taste while it is warm. 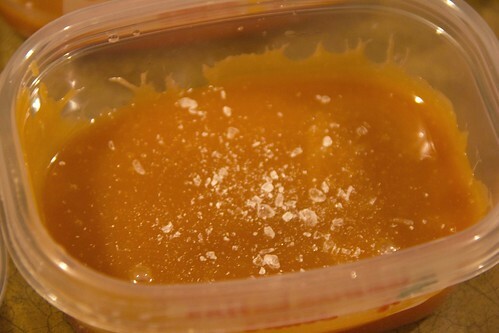 place in an airtight container and store in the fridge for whenever the need arises for caramel sauce.